The grapes are sourced exclusively from the single vineyard ‘Il Bricco’ estate, one of the prime sites within the Barberesco appellation situated in the village of Trieso. The grapes are hand-harvested, then gently pressed and fermented on the skins for 15 days at 25° to 26°C in stainless steel. 70% of the wine is then aged in mid-toasted French oak (a third new) for 30 months. The remaining 30% is aged in 20 to 50 hectolitre casks. 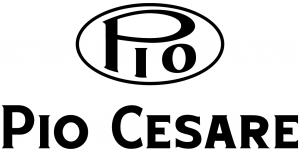 “2010 is a classic Piemontese vintage producing wines rich in tannin, not dissimilar to 2008, it is a vintage that will certainly impress Barolo lovers”, says Pio Boffa of Pio Cesare. In contrast to 2009, the wines are richer and more structured with more ageing potential. The temperatures throughout the growing season were cool, allowing the grapes to ripen slowly enhancing the aromatic expression of the grapes. At Pio Cesare, harvest took place from 1st-10th October assisted by sunny days which allowed the grapes to mature to perfection. The grapes harvested were healthy, producing wines with excellent purity of fruit and finesse. Garnet in colour, with perfumes of dark berries and summer fruits with a touch of sweet spice, liquorice and herbal notes which follow to the palate. Rich, with delicious juicy fruit, fine tannins and a long, expressive finish with a touch of spice from the new oak. Serve with red meat dishes, game or seasonal truffle, mature cheeses.